Ubuweb has been on a serious tear recently, and I love their twitter feed cause I get to see those gems as they roll out. Is there any better resources on the web for 20th century avant-garde art than ubuweb? 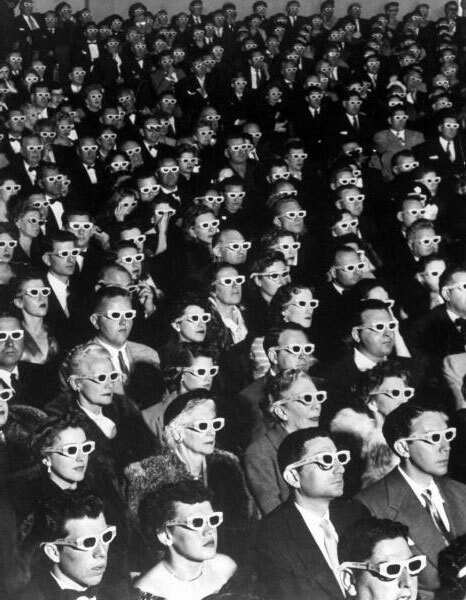 Recently they posted Guy Debord’s classic film—based on his classic book—Society of the Spectacle in its entirety with English subtitles. You can find it here. Bully for UBUWEB. The film version of Society of the Spectacle is an amazing example of filmic mashup as intellectual social critique, and I’m thinking it’s going to be the basis of an assignment for ds106 next semester. Anyway, I think a mashup of Society of the Spectacle narrated by Videodrome‘s Dr. Oblivion is my next project. Enjoy the madness. This entry was posted in film and tagged film, Guy Debord, mashup, society of the spectacle, ubuweb. Bookmark the permalink. A few things: first of all, Ubu doesn’t touch money. We don’t make a cent. We don’t accept grants or donations. Nor do we — or shall we ever — sell anything on the site. No one makes a salary here and the work is all done voluntarily (more love hours than can ever be repaid). Our bandwidth and server space is donated by universities. I like to look at these two approaches to the web and the future of sharing and learning online quite closely. There is something in the varying approaches that strikes me….hmmmmm, what is it? Hmmmm…..funding with strings—kinda like the strings attached to medical research funding provided by pharmaceutical companies. How can their be such little critical space in that regard? On the subject of detourned, cut-up and mashed up film, have you seen any of Bruce Conner’s work? Genius. I remember co-curating a Conner Film Festival when I was a student in Montreal. In reality, it was a few underfed and overbeered grad students with a key to the screening room and a bunch of videos borrowed from a prof, but it was success. As an aside, is there an easy code script to embed Ubu movies on our own sites? I can’t imagine they could object, and I just wasted an hour trying to embed this on the Abject. Yeah, it is kinda odd they don’t have embed, even archive.org has embed now. That said. archive.org’s embed code automatically plays the video which is highly annoying. Thanks for this… it seems there really is no ‘easy’ way to do it (besides re-pirating the pirates on another service).